Global economic growth is slowing quicker than expected, it's been claimed. "The expansion of global growth continues but at a slower pace than anticipated in October," said Tarō Asō, Japan's finance minister. "Also, the balance of risk remains skewed to the downside. We recognise the risk that growth prospects might deteriorate". 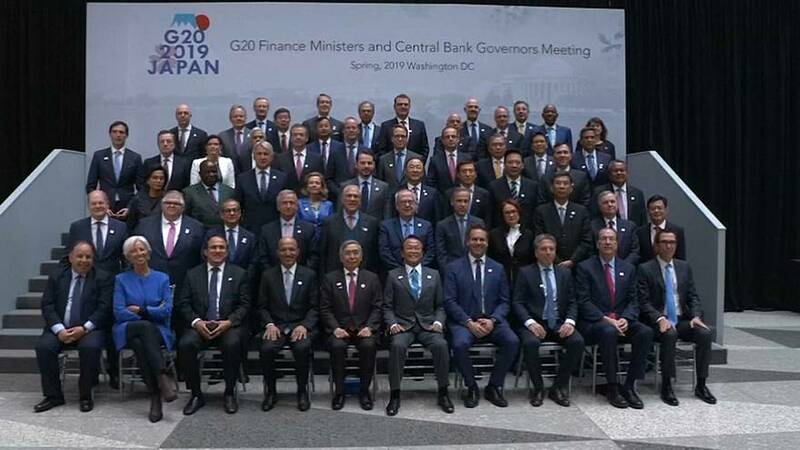 It comes as top finance officials from the G20 group called for countries to overcome trade differences and opt for multilateral cooperation. Poul Thomsen, the director of the European department at the International Monetary Fund (IMF), said it was a shock the world’s economy has weakened. "Growth [in the EU] has clearly lost momentum compared to six months ago, compared to when we last met during the annual meetings. "Some loss of momentum was, of course, to be expected to, considering the growth had been above potential in most countries for a while, considering that the recovery was getting quite mature. "Nonetheless, we have been surprised by the speed of the slow down." According to the IMF, the global economy will likely grow 3.3% this year, which is the slowest expansion since 2016.